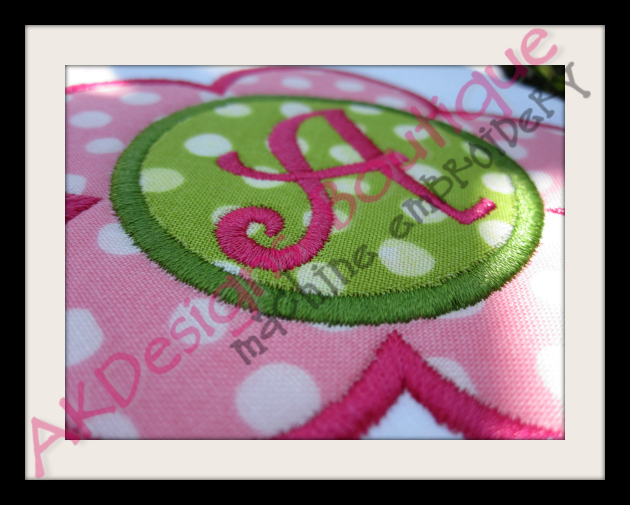 Below are samples of how these designs look stitched. NO FONTS or LETTERS are included in this set. 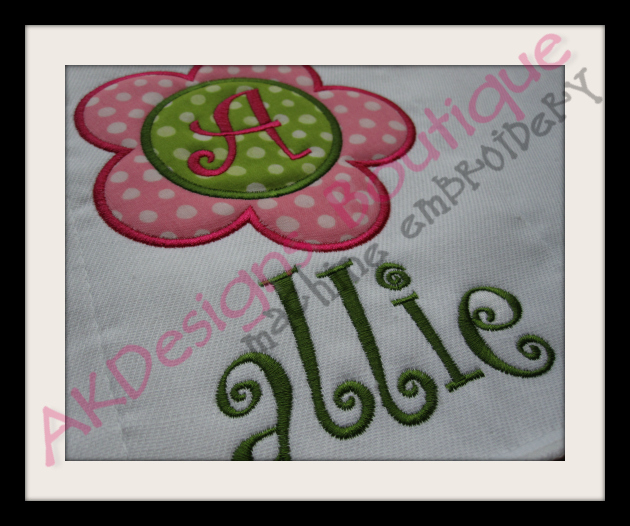 The letters used in the samples are from our CurlyQue Font sets [various sizes].